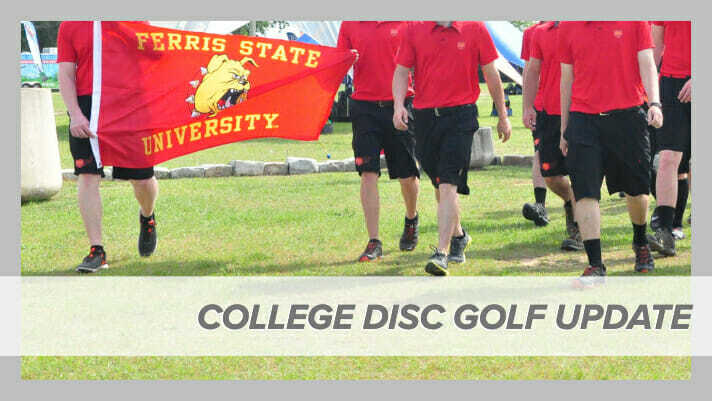 After a brief winter hiatus, college disc golf returns in earnest this month with teams across the country making their final push toward the National Collegiate Disc Golf Championship. The Northwest Collegiate Invitational pitted old rivals against each other as teams from Oregon State University, Portland State University, and the University of DeLaveaga1 battled the famed Riverbend courses at Milo Mclver State Park for bragging rights and an opportunity to represent the region in April’s NCDGC. DeLaveaga’s Trevor Parker and Portland State’s Chris Nelson were the two highest rated players at the tournament and set themselves apart in what became a two-horse race. The two 999-rated players first played the East course, where only one stroke would separate the competitors. Nelson led the way with a 992-rated, 1-under par 60. Neither Parker nor Nelson lost stride as the afternoon action moved to the West course. This time it was Parker getting the best of Nelson, shooting a hot 3-under par 58 that broke the 1000-rated threshold. Nelson’s 2-under par 69 was able to keep things level and force a playoff. In the extra golf, DeLa’s Parker rode his momentum, besting Nelson on hole 1 of Milo East in order to take the Northwest Collegiate Invitational singles title. In the team competition, Portland State looked to defend their 2018 title. Performances during the first singles round left them with work to do as Oregon State took a five-stroke lead. OSU, however, was not able to keep their own pace and fell from first to out of contention by the end of second round action. With the door open, Portland State took advantage and a six-stroke lead over DeLaveaga going into doubles play. The University of DeLaveaga pushed throughout the team doubles round and pulled within two strokes with only two holes to play. In the end, Portland State held off the scrappy team from DeLa to defend their title as Northwest Collegiate Invitational champions. Other weekend action saw perennial powerhouse Ferris State University claiming the Great Lakes Collegiate Open crown, beating their nearest competitor, Toledo, by nine strokes. Toledo’s Chris Wojciechowski claimed the singles title, shooting a 1-under par 53 at Deerfield Nature Park in Mount Pleasant, Michigan. At the East Texas Collegiate Open in February, no. 1 ranked Mississippi State dominated the competition in Mount Vernon, Texas. 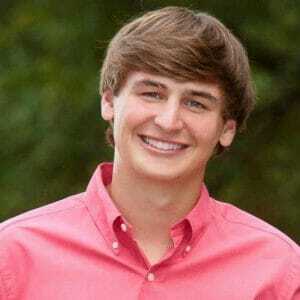 The Bulldogs were led by Steven Hillerman, who won the singles competition by 11 strokes. Hillerman’s performance went a long way in propelling Mississippi State to a 20-stroke victory over Southwestern Oklahoma State. Southwestern Oklahoma State’s second place performance did, however, earn them a bid to the NCDGC as Mississippi State had qualified previously as defending champions. Four more NCDGC bids are up for grabs this weekend. The Tiger Town Throwdown is giving out two bids at Grand Central Station in Central, South Carolina. A bid each will be handed out at the Mid South Collegiate Open, held at the Disc Side of Heaven, the same complex that will be hosting the Jonesboro Open, and at the Disc Devils Desert Dream Classic in Mesa, Arizona. The NCDGC will be held March 27-30th in Augusta, Georgia at the International Disc Golf Center. Comments on "Teams Still Vying For Bids To National Collegiate Disc Golf Championship"